I’ve got a veritable cornucopia of things in progress to share with you this week. Some old. Some new. Some really old. This first one was really easy. Easy as in I didn’t make it. The husband’s grandmother made it for him a long time ago. She was big on the piecing, but not so much on the finishing. This is one of several tops that she made for relatives. It sat in a storage bin for as long as I’ve been married to the husband and probably a number of years before that – in one bin and then another as we rearranged things in the basement. The last bin the top made its home in was, oddly enough, the bottom of the one holding the Halloween costumes. Maybe you can see where this is going? The husband brought it out and asked me if I thought my mom could finish it for us. Easy answer, yes, but we need a few more pieces before we can turn it over to the quilter, dear. The husband sent me in to the fabric store to do the picking and I tried to see if I could match a solid with the existing blue and while there were many blues, there weren’t any that matched. Or at least not that I could tell. I could really use a class on color theory. Then I considered a print and I came up with a few choices, but I still wasn’t sure. It’s the husband’s quilt – what would he like? I was able to coax him in to the fabric store and suggested that he pick from one of my choices or one of his own. After discussing things with the person in my life who remains to this day my go-to fabric matching resource, we decided to go the complimentary, but not matching route. In other words, dear husband, pick out something you like and we won’t worry about matching (Extra bonus? 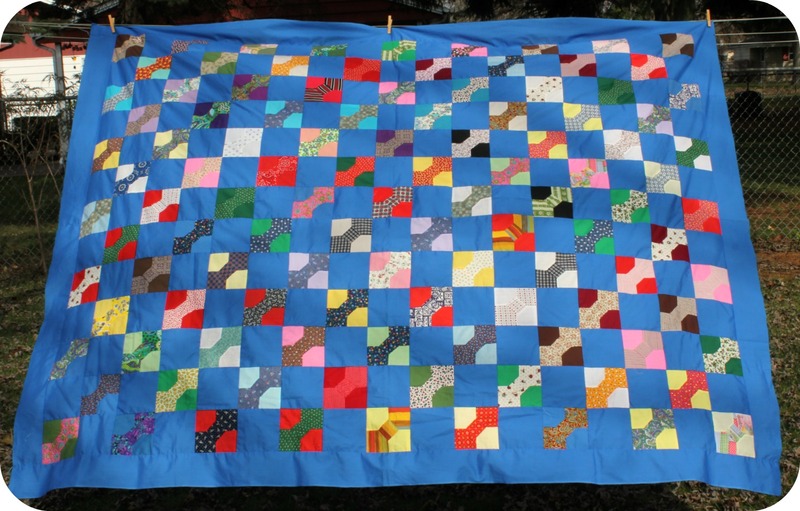 The quilt will be reversible.). My quilter also offered to sew together the backing fabric down the middle (we’re talking queen size here) and gave me the math to figure out how much fabric I needed for the binding. Would you believe she, knowing how much I hate hand sewing, offered to do the binding for me as well? We organized this all during our family Samhain holiday which seemed a fitting way to honor the husband’s ancestor, though she’s been gone a few years now and it’s a shame she won’t get to see it finished. Here’s a close up of the bow tie detail. I suspect that it’s a scrap quilt given the wide variety of fabrics and colors. I don’t care for any of them individually, but I think the effect over all is quite nice. It’s got great lines and I’m looking forward to seeing it once it’s all finished. The quilter and I are conferencing on that presently. You’ll have to watch her website as I’m sure it will pop up on a future WiP post. Darn you dreary basement lighting! When we last left this quilt, I was thinking about leaving part of it out. Linda encouraged me to keep the bit in. The last piece felt a bit forced and over worked. It didn’t feel like it would fit. Having long since decided that I wouldn’t let a mistake slow me down, I did what any reasonable person would do: cut it apart some more. Ok, maybe that’s not what a reasonable person would do, but it’s what I would do. So I cut it and re-pieced it and gave up trying to match the upper panel. Actually, that was the hardest part. I had to mourn my inability to recreate the very improvisational top panel. The really was there was no way I would have been able to replicate it. I’m loving where I’m heading, though. I’m going to add in some panels of Kona Coal on all four sides in order to arrive at a finished size of around 40″x 78″ – a lap quilt. It’s cold outside so I’m thinking of reviving an old project. I bought a box of scrap fleece a loooong time ago. I’ll admit that it seems odd to purchase a box of scrap fleece from a stranger online and I can’t quite explain why I did. The price was right? I’m always cold? Who couldn’t use more fleece in their life? The plan is to make a nine-patch with the seam allowances on the front side (because then you can’t see where my points don’t match) and stitched together into some sort of large throw. I think it’s been three (?) years since I last did any work on this. 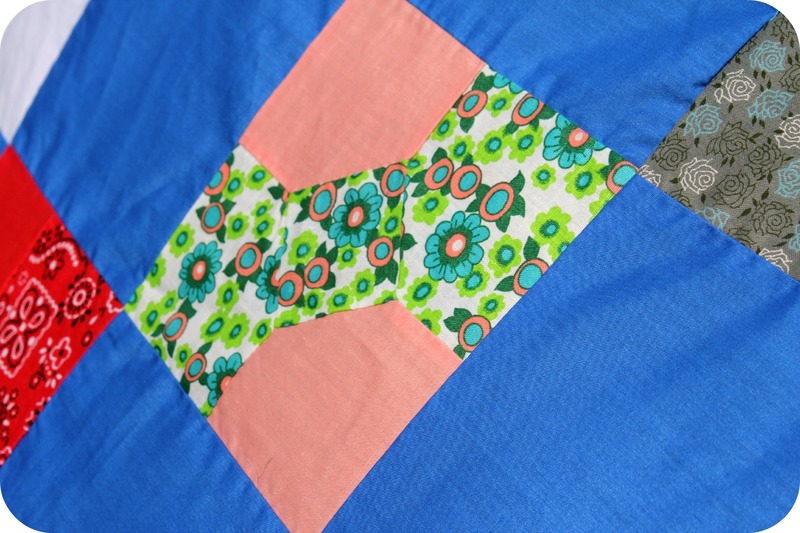 Still on deck – Batik Squares. We’ll just say permanently stalled for that one. I’ll get back there eventually. Did I mention the new puppy? I think it might be about the fourth of never or maybe next year. 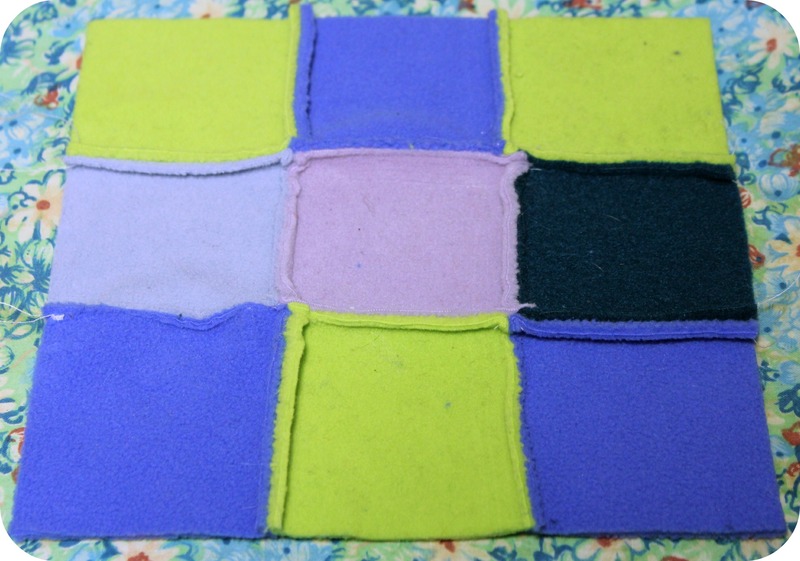 Don’t forget to head on over to Freshly Pieced to see what else is “in progress” this Wednesday. Categories: color, life, memories, photos, quilting, Samhain, WIP | Permalink. The husband asked for sangria to go with our Samhain dinner. When I asked him whether he wanted mulled wine or sangria, I was at the grocery store, so I shopped from memory. I remembered there being apples. Were there lemons? Limes? I already had oranges and Grand Marnier at home. Other than that I planned on picking up a bottle of Five Rivers wine to round out what I figured I needed for my standard sangria recipe. 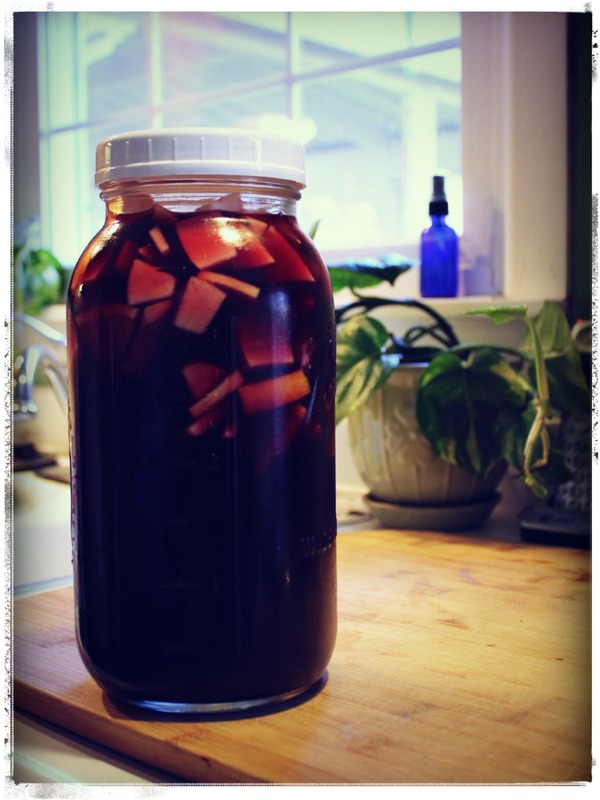 When it came time to make sangria yesterday I discovered that I was missing more than a few ingredients, but most notably the brandy. Not one to let a minor detail like that stop me, I decided to just wing it, and that’s when I saw the jug of apple cider from our last trip to the apple orchard. Is there such a thing as sangria with apple cider? There is, and it looks really tasty, but I had red wine not white and did I mention already that I was out of brandy? Remember what I said about not letting minor (though I suppose some would say major) details curtail my plans? Naturally, I pressed on ahead. One of these days I’ll get back to the Apple Cider Sangria recipe from How Sweet It Is that inspired this here one. In the meantime? This one is mighty tasty. 1. In a half-gallon mason jar, combine wine, apple cider, and Grand Marnier. Stir to combine. 2. Add in fruit and give a quick stir. 3. Refrigerate for 2 hours or overnight to let flavors mix. 4. To serve, pour desired amount of wine mixture in a glass and top off with lemon-lime soda. Want it stronger? Less soda. Bit of a lightweight? More soda. Categories: food, Samhain | Permalink. Categories: color, life, memories, Pagan, Samhain, seasons, Wheel of the Year | Permalink. 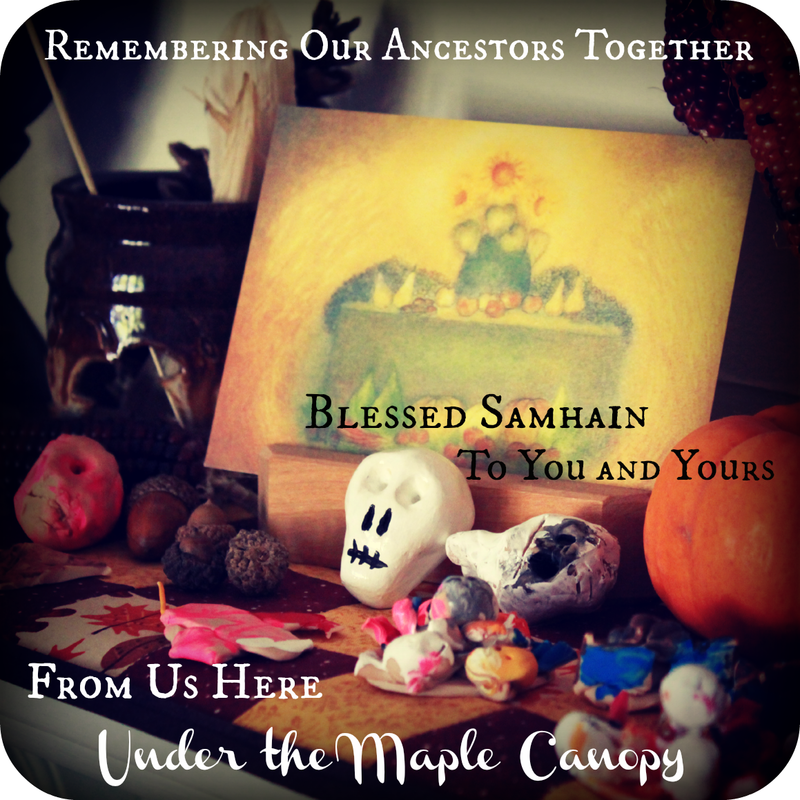 we welcome you into our home this Samhain Eve. From stardust we were created and to stardust we return. Categories: life, memories, Samhain, Wheel of the Year | Permalink. It’s Wednesday again – how is it possible that another week has gone by already? – so it’s time to bring out your projects finished, unfinished, forlorn, and forgotten into the light of day and share with random people on the internet. Uh…what I mean is…it’s Work in Progress Wednesday! The random part and the bringing things out part is actually a good thing. Let’s face it not everyone has a supportive quilt guild or community in their area and your forgotten projects will thank you. Today’s the day to remind yourself that you are actually making progress, even if it doesn’t seem like it. Don’t believe me? Check out all the other folks over at Freshly Pieced. I started out the week with a bit of a sleep deficit. Monday started at 4:45am when I gave up on trying to get to sleep and instead went to the YMCA to ride the bike all by myself. I didn’t have to get anyone in and out of their carseat. I didn’t have to cajole anyone into getting their coat and shoes on. Yes, it was dark outside and I discovered that my chosen intersection was a bit more challenging to get across because the lights were flashing red on my side, but I’ve also decided that early morning just before sunrise is the one guaranteed time that you can see a rainbow. Have you ever noticed that? The horizon is kind of red-ish and it goes on up the rainbow over the dome of the sky until you reach the deepest indigo high above you. On a more mundane note, I also finally made a decision on quilting for “Still Life with Crows” and sent it off to the quilter. My little project even made it on her WIP list for the week. 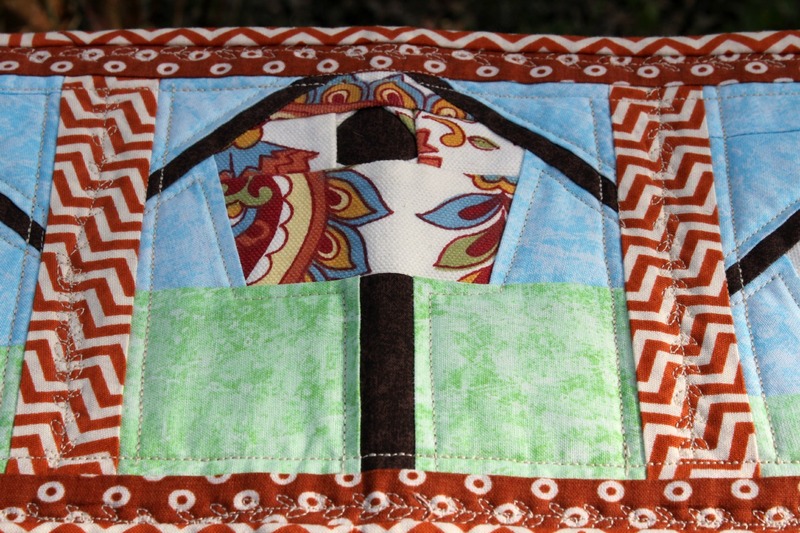 Later that evening, after folding three or four baskets full of laundry, I finished the binding on the birdhouse quilt. It had sat on the shelf for several months before I decided to just get on with the hand sewing. I hate hand sewing…have I mentioned that? This one’s not quilting related, but I did finish it. 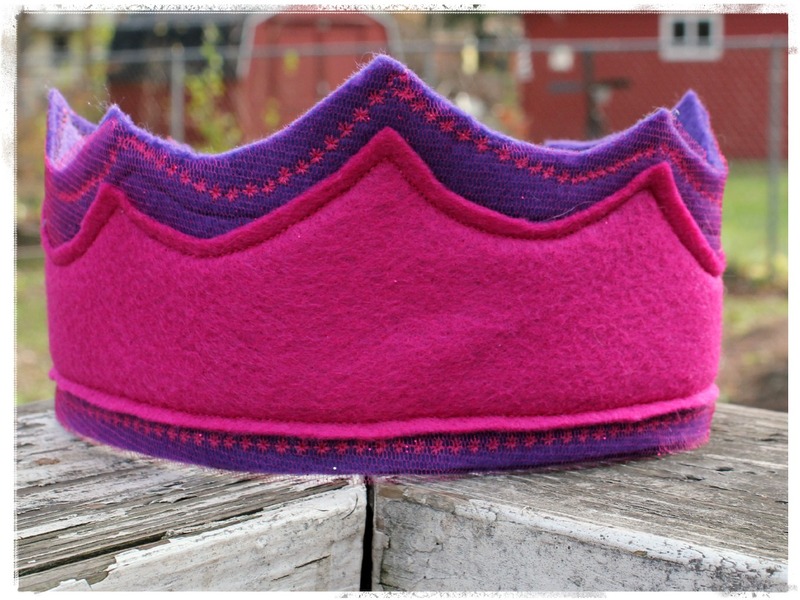 It’s one of two crowns I made for the older two kids’ Halloween costumes. I also finished re-hemming the capes I had made for them last year so that they’re ready for another year or more of use, but that’s kind of boring. I had hoped to include a picture of the boy’s crown, but neither Miss L nor I could figure out where he put it. *sigh* And yes, the darf is still missing. How do my kids lose their stuff like that? I’m going to go with the hope that the boy’s crown has been placed in a strategically safe place so that I don’t have to make a new one. 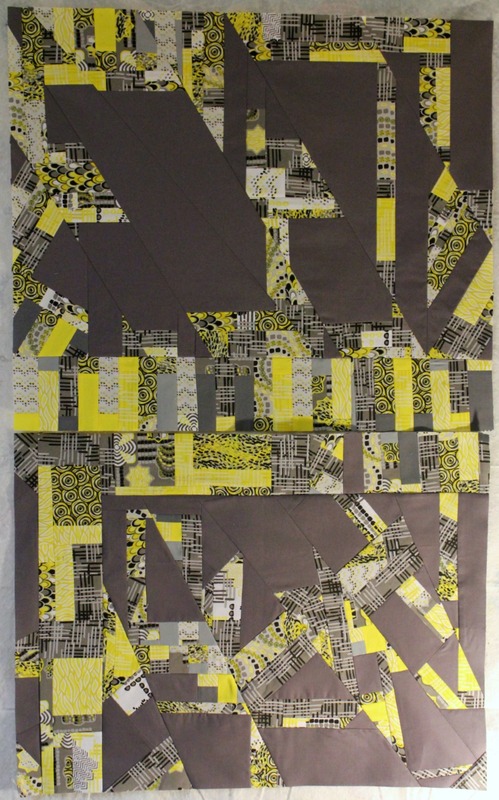 The biggest progress this week, though, is on the grey and yellow quilt. It started out like this and looked like this when I “finished it.” Last week it looked like this. Would anyone like to take bets on whether or not it looks like that this week? Nah? Of course not! It was this point when I realized that I had found my quilting style. It’s called, keep cutting until you like what you see. The seam allowances have been pressed open and while I have tried to keep the quilter in mind when I was piecing it back together, some of the smaller pieces mean it’s going to be a bit challenging. That one quilt guild lady would have a heart attack over this one. The piece as a whole is nice, but it wasn’t quite right. More cutting and sewing, back up on the design wall (the back side of a tablecloth hung up on the wall), and we’re getting closer! 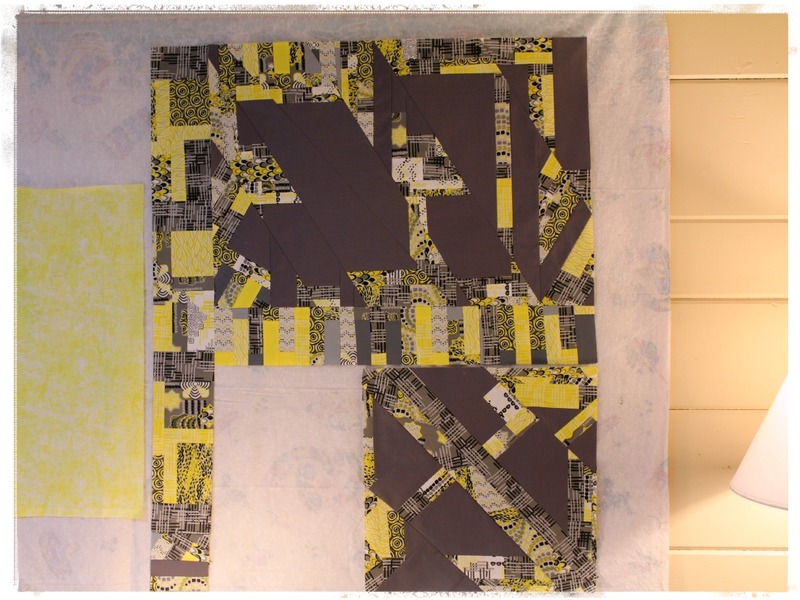 Monday night I was contemplating working in the yellow on the left, but now I’m thinking that I’ll take just the top half and surround it with large rectangles of Kona Coal. It’ll be kind of in the middle, but maybe off center slightly? I was thinking lap quilt, but I really like it so now I’m wondering how I’d scale it up to fit my king size bed. The bottom square, while lovely, doesn’t really fit so I’ve decided that it’s going to be a pillow instead. Unless I change my mind and I must say, I’m prone to changing my mind. Often. Bake Pan de Muerto – I really want to make this recipe, but I have yet to find orange-blossom extract. If I could find it locally, already made I’d be a happy camper this year. This one’s looking doubtful, but I’m keeping it on there anyway. Find out how to get a house elf – do you think he or she will do the dishes and finish the laundry for me? Yes, yes, I know. Not real. Did you notice the shift in focus? At this point I think any sewing or quilting is going to be on the back burner for another week (or so) – especially if I’m going to finish “Lord of the Mountains” as quickly as I finished the others. I really shouldn’t be too hasty though, this last book is only 300 pages give or take 20 and the next one won’t be out until next year. This last one isn’t really a work in progress anymore. Today’s the last day of October which means it’s also the last day of NaBloWriMo. I’m proud to announce that not only did I stick with it, but I also made it all the way to the end with at least one post a day and I never ran out of things to blog about even if it was just a picture from our day. So, now the bigger question is NaNo yes or NaNo no? 50,000 words in 30 days is an entirely different animal than 31 blog posts. Can I blog, write novel, quilt, and get ready for Yule all at the same time? Categories: children, color, life, quilting, Samhain, seasons, sewing, Wheel of the Year, WIP | Permalink. Who do you invite? Everyone? Just a few? How much do you share of the sacred with others? It goes all the way down to what day you celebrate the holiday. It’s stressful, especially when you don’t celebrate the holiday any more or celebrate an alternate holiday that also happens to kind of sort of fall around the same time. We won’t even mention the mother-in-law and her pouting that should commence in a few short weeks over why we’re not heading out there for the holidays. Halloween (and fall in general), though, is very easy. There are plenty of secular things to do: carving pumpkins, trick-or-treating, dinner, pumpkin patch, apple orchard, etc. There are no other holidays near it that require juggling of priorities or avoiding hurt feelings and none of my family members have sacred traditions that intersect. It’s kind of a relief and a great deal easier to just relax and have fun! Sunday was all about the pumpkins. We invited my parents over to carve pumpkins with the kids. 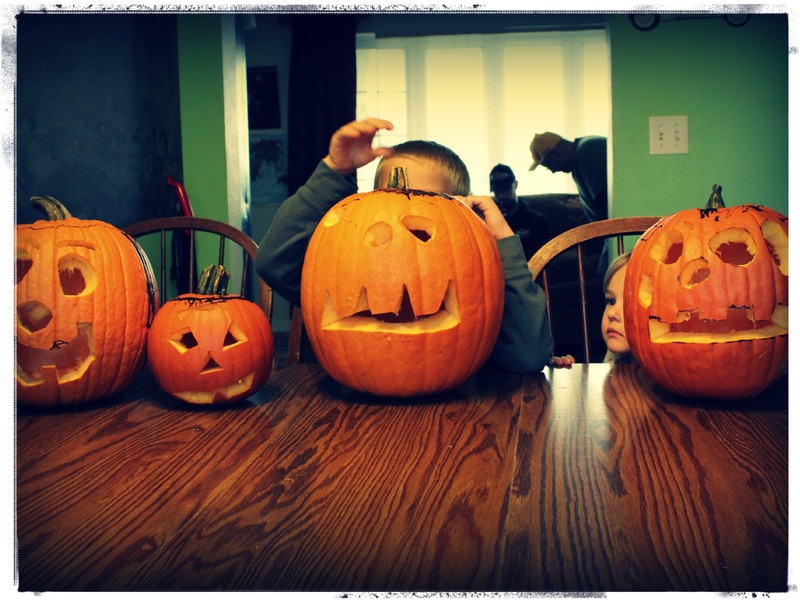 Actually, it turned out that my husband and my dad did most of the carving with the kids which was wonderful. No, really…WONDERFUL! My youngest sister and her husband came over around lunch time on a totally unrelated matter (didn’t think they’d be interested in the carving, but I’ll remember to invite them next year). We had chili, ice cream cake courtesy of my parents, and lots of fun. It was the perfect way to begin what has in all honesty become a week-long celebration. Tomorrow begins the shift from candy and costumes to the sacred as we “light” (battery operated candle – yes, a bit odd, but I can leave it lit all night without starting the house on fire) the candle on the mantle as a reminder that we are here in this place because of our ancestors. They’re part of the land…part of you and me. 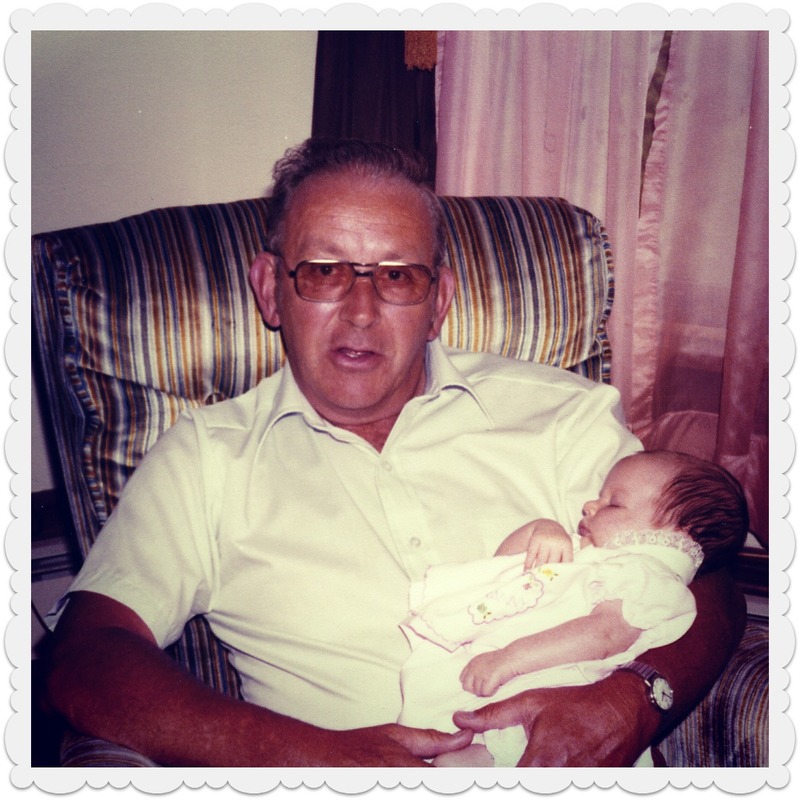 Though they have passed, they are never really gone as they live on in our memories. Roots to grow wings I like to call it. Don’t get me wrong, there will still be candy and trick-or-treating. Wednesday is half and half: half sacred, half cultural festivities. Thursday is a time to focus on the sacred. 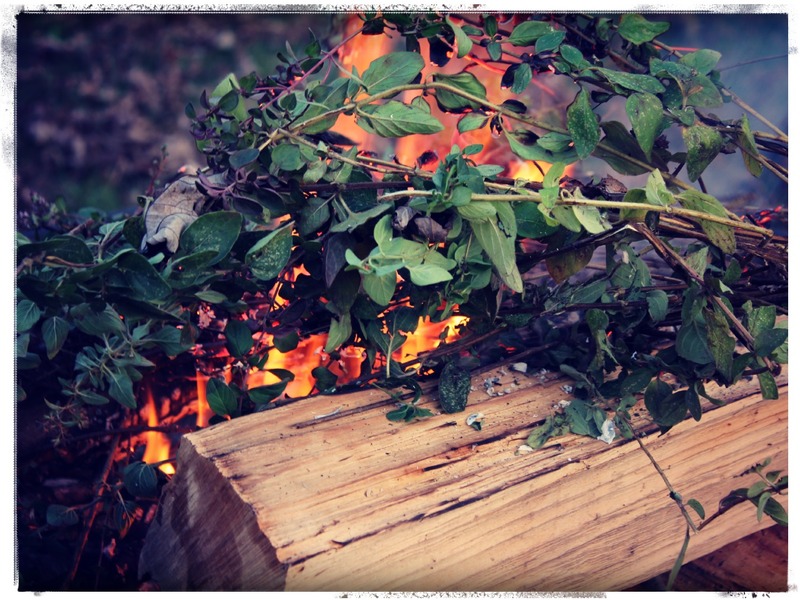 We’re going to head out to where the voice of the Divine speaks loudest and enjoy a tasty holiday meal while we talk about those who have gone on and share our thanks for the land that feeds us and our ancestors who made us what we are today. Categories: children, color, life, memories, Pagan, Samhain, seasons, Wheel of the Year | Permalink.